I only read a couple of Moroccan cooking blogs since there aren't that many, however, I enjoy reading both immensely. Recently, one of the bloggers, Nisrine from Dinner and Dreams, announced that she was being published in the Boston Globe, so, of course, I had to read the story. Her recipe was a spicy Moroccan chicken recipe, and it used Dijon mustard. Dijon? That's clearly French, however, the French occupied part of Morocco at one point, so it made perfect sense. Just like butter chicken (Indian/English), and chicken vindaloo (Indian/Portuguese). I'd love to read more about the history of the dish, but it wasn't available. Maybe one day I'll get around to reading more about the French in Morocco, or consult another authoritative source. The dish itself tasted great. I made some substitutes as I didn't have any harissa on hand, or ground cloves, and I wanted things extra saucy, and it still worked. 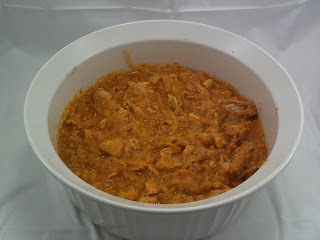 2 boneless, skinless chicken breasts, cut into strips or chunks. 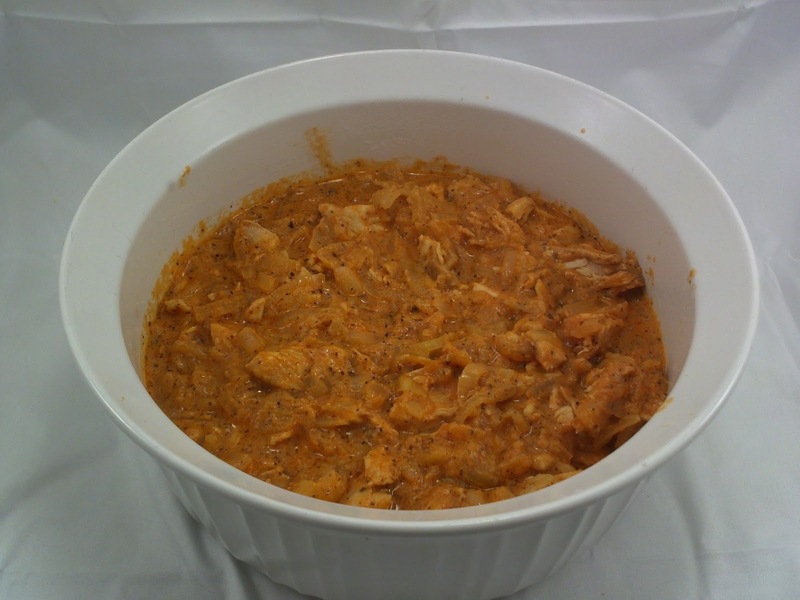 Combine chicken and mustard in a large zipper bag and let marinate in the fridge for one hour. Meanwhile, in bowl, combine tomato paste, water, black pepper, cayenne pepper, cloves, and mint, stir and set aside. When chicken is ready to cook, heat oil on medium in a deep pan and fry onions for 8-10 minutes, stirring often. Add chicken and tomato-spice mixture, stir, and bring to a boil. Reduce to medium-low and cook for 20-25 minutes, until the chicken is cooked. Add cream and continue to cook for another 2-3 minutes. Based on Spicy Moroccan Chicken by Nisrine Merzouki. I recently bought a tangine and have been looking for some good recipes to cook in it. I don't know if this would convert or not but the flavors sound great! I've never actually cooked with a tajine - I just use a deep pan. The tajine I have is coated, not bare clay, and I'd be afraid of breaking it. One day I'll get my hands on one or learn from someone who owns one.